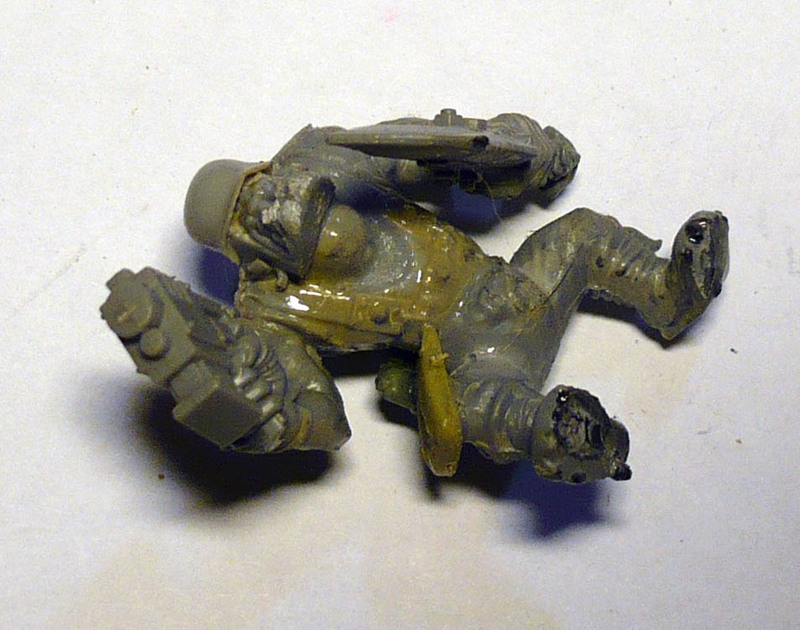 I mainly buy Citadel miniatures off Ebay these days, as I do not like paying through the nose. However, it is somewhat risky, both because of shipments ´going missing´and the seller going either “not my problem” or “I´ll send a new one right away. Oh Yes.” and that not happening (luckily only happened to me a couple of times, and because of the items not being quite what you expect. 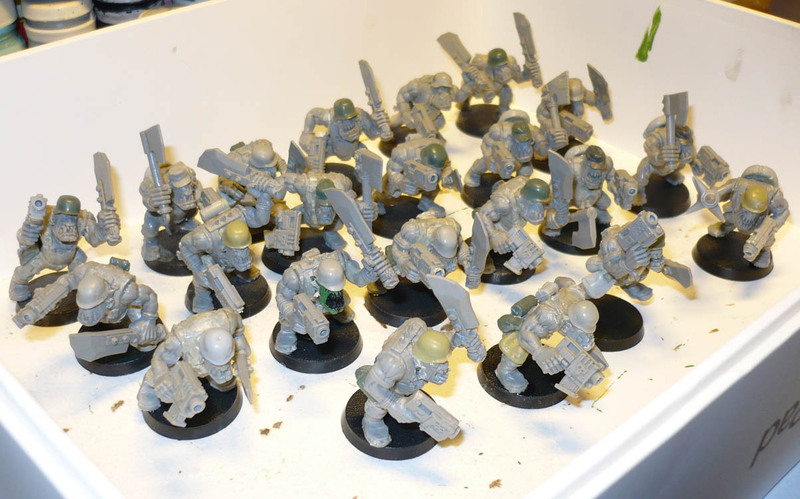 But mostly the ebay purchases turn out OK.
A few months ago I purchased a squad of 22 Space Ork Boys, that was supposed to be in good condition and nicely converted using helmets, hats and other pieces of kit from historic soldier models. I did not pay a great deal either. Of course, the pictures were all group shots, and rather small. It arrived. So far, so good. Wahey! They had helmets and hats on! And assorted backpack, pouches and whatnot! 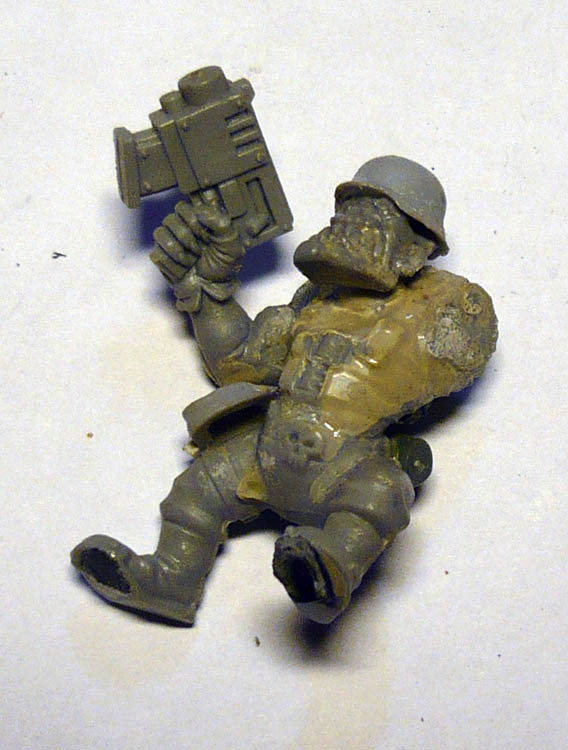 And massive patches of dried glue-gunk all over -ruining the details! ALL 22 of them! And Fur!!! from hairs, dust and other disgusting filth! I was not happy with this. So I let them stew in their own filth for many weeks. The other night I decided to try to salvage them, a mob of 22 boys is not something to waste. So I cleaned them up as good as I could, glued them together again and replaced several arms, bases and heads that were beyond repair, from my own bits-box. Luckily I had some spare parts. Drilled out ht ebarrels of their guns. And gave them a good hot bath and scrub-a-dub-dub with a toothbrush. At any rate, I think this mob will shape up and be usable. Now to get them undercoated and prepped. Maybe winter camo for these?